Bike Buddy aims to connect motorcyclists/motorists to workshops in times of emergency. Driving on the highway when your car comes to a sputtering halt? Weaving in and around traffic when your motorbike suddenly stops working and you have to push it to the side? Whether you're in a different state or in your own neighbourhood don't worry, because there's Bike Buddy! However, the person must send pitchIN the proof of transfer by attaching the receipt to the email address: [email protected] with the Subject Heading: BikeBuddy. Upon receiving that, the folks at pitchIN can then quickly update the project page. You're awesome! receive all updates on the project and our sincere gratitude, every little bit helps! 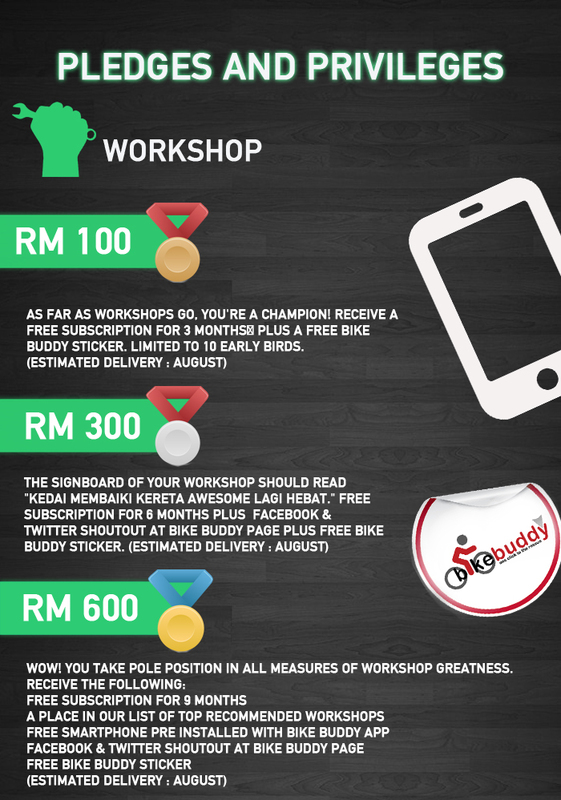 To kick start our campaign, the first 100 early bird who pledge RM 5 will receive a exclusive Bike Buddy sticker and also the above reward. One of our cool T-shirts! Choose one of the two cool T-shirts we designed especially for the pitchIN campaign! Both shirts will have our logo at the back on the top. Besides, be one of the very early beta adopter to the out the app! Free 1 time vehicle inspection and all of above. Facebook and Twitter shout out at Bike Buddy page and all of above. Recognized as a great contributor to the project! Every penny counts so we are really grateful to you. A Special token of appreciation by displaying donors name at Bike Buddy application Wall of Fame for a period of 3 months and all of above. 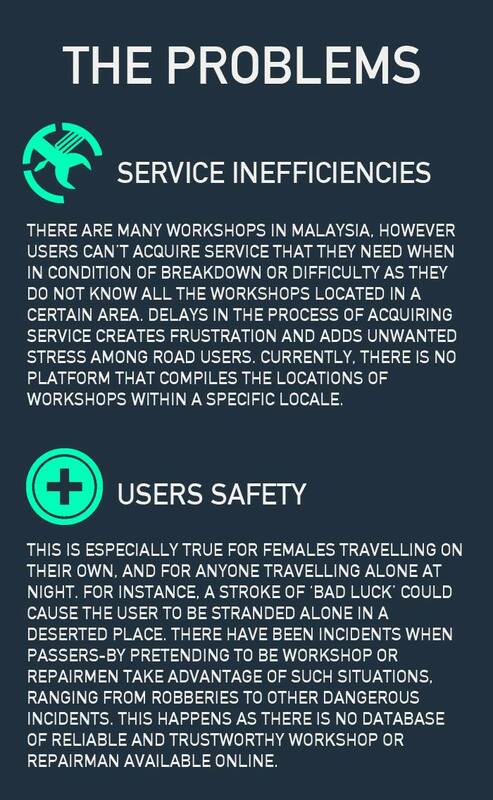 The signboard of your workshop should read "Kedai Membaiki Kereta Awesome Lagi Hebat." Free subscription for 6 months plus Facebook & Twitter shout out at Bike Buddy page plus free Bike Buddy sticker.